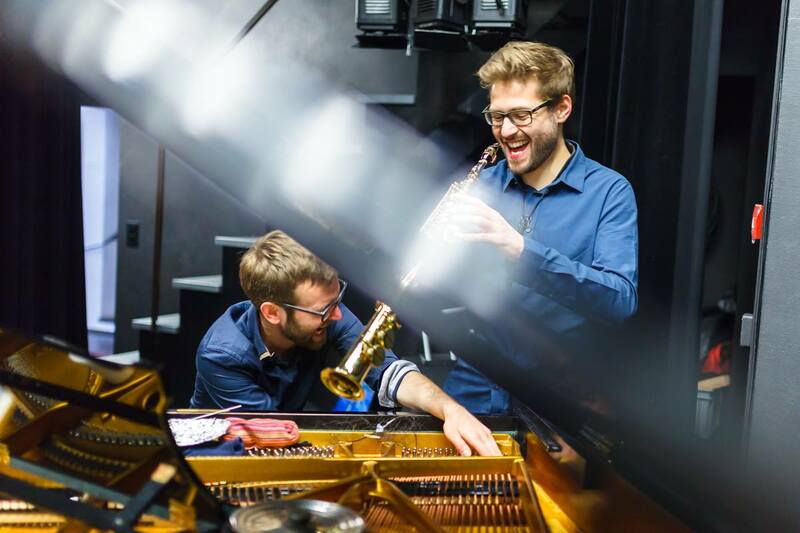 Antoine Françoise and Patrick Stadler of internationally renowned Ensemble Nikel will be in London for the UK premiere of Matthew Shlomowitz’s ‘Lecture about Listening to Music’ as part of this season’s Kammer Klang programme at Cafe Oto. As part of their visit they are offering a 2-day workshop of coaching and discussion on new chamber music. The workshop will be open to up to four chamber music ensembles (existing or formed for the occasion) on 30th September and 1st October, culminating in an informal concert at the Cafe OTO Project Space on Monday 1st October, 7pm. We are looking for chamber music ensembles who are interested in repertoire from the last 20 years to participate. The minimum number of players your ensemble should have is two. There is no maximum number of players, but the ensemble must not use a conductor. We will not have a piano, but the use of electric keyboard is welcome. Each group will receive coaching on one piece from both members of Nikel, and discuss specific new chamber music questions with the group. You must be available for the full two days to participate. The workshop is free. Attendance to the concert will also be free. Session 1 10am-5pm Sunday 30th September, Royal College of Music (Prince Consort Road, SW7 2BS). Session 2 10am-5pm Monday 1st October, Cafe OTO Project Space (9 Ashwin Street, E8 3DL). Concert 7pm Monday 1st October, Cafe OTO Project Space (9 Ashwin Street, E8 3DL). Informal concert, free admission and free drinks. Website / online documentation of previous performances (if available). Born in 1987, Antoine studied piano in Switzerland with Paul Coker, and at the Royal College of Music, London with Andrew Ball, Yonty Solomon and Ashley Wass. He also studied saxophone with Laurent Estoppey and composition with Michael Oliva. Very active in the fields of contemporary and chamber music, Antoine has played internationally with conductors such as Diego Masson, Clement Power and Pierre-Alain Monot. He has been a member of Switzerland’s Nouvel Ensemble Contemporain since 2008, is a core member of Ensemble Nikel, and plays regularly with the London Contemporary Orchestra, City of London Sinfonia, London Philharmonic Orchestra, London Sinfonietta and Ensemble Contrechamps. Antoine has given over a hundred premieres, and worked closely with composers such as Julian Anderson, Rebecca Saunders, Hans-Peter Kyburz (giving the UK premiere of his concerto) and Eric Gaudibert (who dedicated his last concerto GONG to him). In the classical field, he has performed widely in Switzerland, France and the United Kingdom, including concerti by Grieg, Hindemith or Poulenc and is hugely in demand as an orchestral pianist and chamber musician. 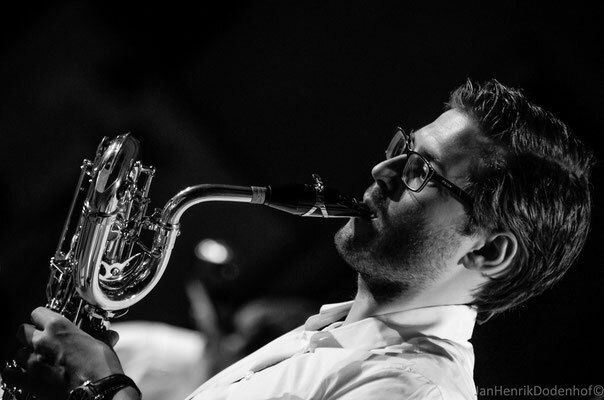 The Saxophonist Patrick Stadler, born in Donaueschingen (Germany) in 1985, began his studies in 2005 at the Conservatory for Music in Basel with Marcus Weiss. He then studied with Pierre-Stéphane Meugé in Lausanne and Jean-Michel Goury in Paris, receiving his Master with honors from the Conservatory of Music in Basel in 2012. He has appeared as soloist with various orchestras, such as the Philharmonie Zentralschweiz, L’Orchestre Tibor Varga, Kammerorchester Basel and Sinfonieorchester Basel, and has played at the Donaueschinger Musiktage, International Summer Course for New Music Darmstadt, Impuls Academy and Lucerne Festival Academy. He has also won numerous prizes and awards, including those from the Da Ponte Foundation, Darmstadt International Summer Course for New Music, and Deutscher Musikrat Competition. Patrick is a core member of the ensembles Inverspace and Nikel, and the duo Organised Sax. He has collaborated with young and well-known composers, such as Georges Aperghis, Giorgio Netti, Beat Furrer, Peter Eötvös, Malin Bång, Germán Alonso, Teresa Carrasco and Yair Klartag.